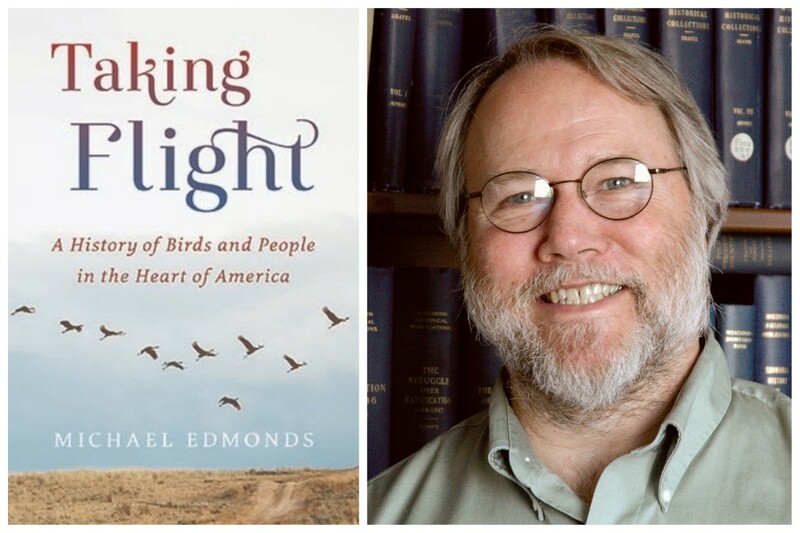 Michael Edmonds on "Taking Flight"
Today, more than fifty million Americans traipse through wetlands at dawn, endure clouds of mosquitoes, and brave freezing autumn winds just to catch a glimpse of a bird. The human desire to connect with winged creatures defies age and generation. In the Midwest, humans and birds have lived together for more than twelve thousand years. Taking Flight: A History of Birds and People in the Heart of America explores how and why people have worshipped, feared, studied, hunted, eaten, and protected the birds that surrounded them over the last 12,000 years.The book is based on archaeological reports, missionaries’ journals, travelers’ letters, early scientific treatises, memoirs by American Indian elders, and the folklore of hunters, farmers, and formerly enslaved African Americans. Michael Edmonds is a writer and public historian living in Madison, Wisconsin. His writings on history, nature, and folklore explore ways that ideas have moved through time and space in oral, printed, and digital forms. He is fascinated by eccentric, unusual, and atypical people or events that mainstream history has usually overlooked. For more than a decade he wrote the syndicated weekly newspaper column, “Odd Wisconsin” highlighting bizarre and little-known stories from the state’s past. He has written three other books and edited or contributed to several more, as well as publishing many journal articles, newspaper columns, and book reviews.